Medieval city, cathedral with tallest spire in Britain and tributaries of the Avon. 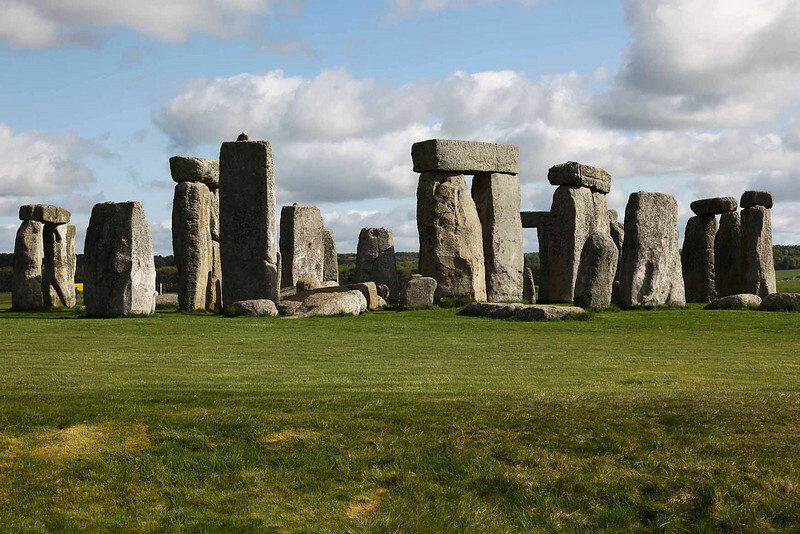 Stonehenge - 2500 BC. Sarsen stones from the Salisbury Plain and bluestones from the Preseli Hills, Pembrokeshire make up the standing stone circle with the heel stone and blood stone on the perimeter.